Eric Benoit, ITER Logistics, is one of the 16 staff that now know how to do it right. It took two and a half days to learn how to take care of an injured or sick person before professional medical services arrive. Knowing what to do or not to do when you are confronted with an emergency situation can save somebody's life and prevent further injury. 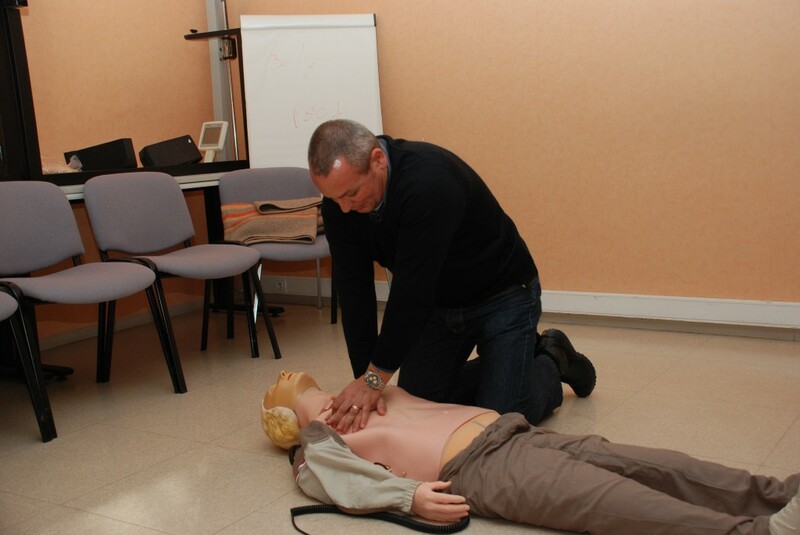 The ITER Safety and Security Department had made a call for volunteers for this first aid training at the end of 2008 and six volunteers signed up for the course, bringing the total of ITER employees that have followed and obtained the first aid diploma to a total of 16. A contact list of these 16 people will be published and distributed shortly to all ITER staff. The list will also be posted in every building. In case of an accident or sudden illness of an employee, please warn the person from this list who is nearest to the incident. The next training course will take place in spring 2009; if you would like to take part in it, please contact Alain Le Bris.